Creating a crossword puzzle in class! 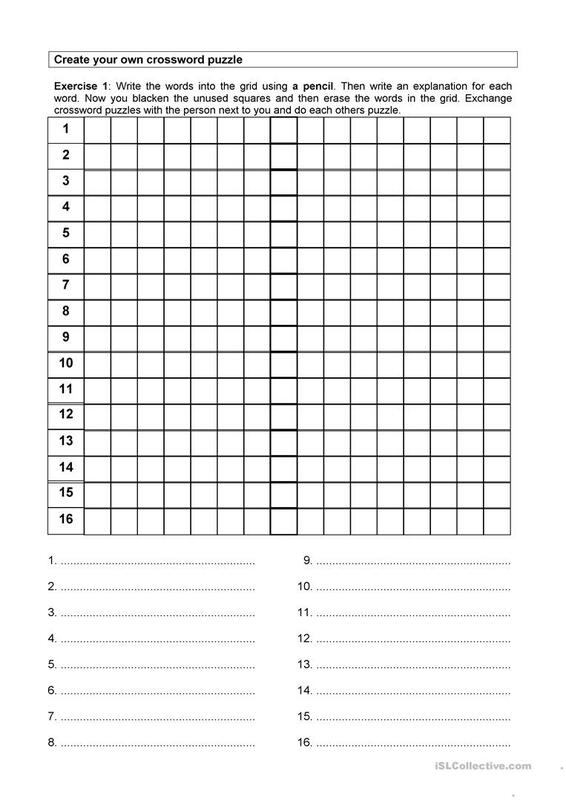 Sts create their own crossword puzzles on a chosen topic, exchange them with other students and then do the puzzles. It's a great way to revise vocabulary. The present downloadable worksheet is intended for high school students, elementary school students and adults at Pre-intermediate (A2), Intermediate (B1) and Upper-intermediate (B2) level. It is a valuable material for working on your learners' Writing skills.